The first dance is always one of my favorite times because I know when it's going to happen. And I can set a stage for beautiful lighting and capture the magic naturally. At Chris & Ashley's Riveredge Nature Center wedding in West Bend, I wanted some of the first dance shots to bring in the natural beauty of the vaulted wood ceiling and warmth of the ambient lighting, so I went with a wider angle lens. For action like this, I like to wait for specific expressions, looks or gestures before pressing the button. 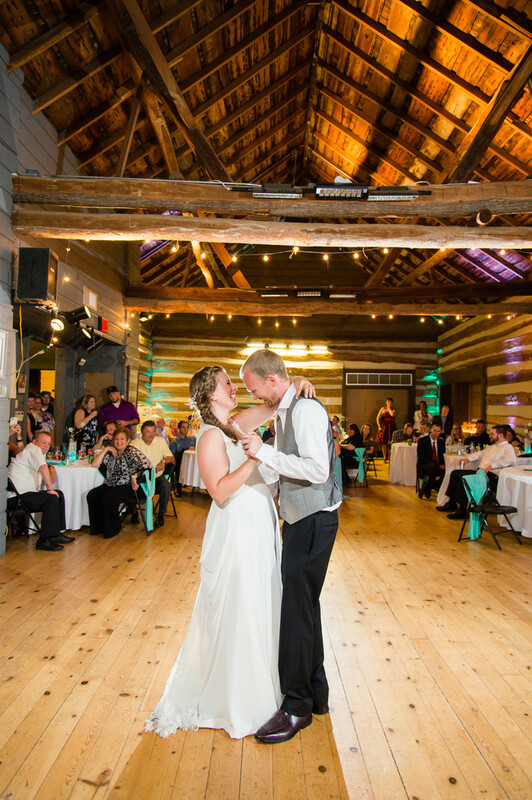 Riveredge Nature Center is a great West Bend wedding location for any nature lovers. It offers beautiful outdoor ceremony locations, lots of natural portrait space, and a reception space. It's not the largest venue, but for intimate parties it's just right.